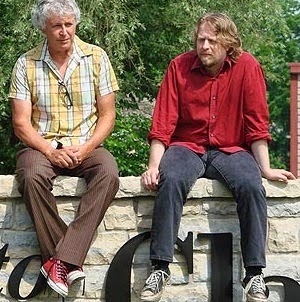 Two man, scatter shot recording project between Portland's Chris Slusarenko and Dayton, OH's Bob Pollard. Two LPs full of garage rockers of varying degrees, indie chunks, and cameo appearances. The Takeovers aren't great, but they're a fun listen--kind of like the Beatles' Decca audition, before they signed with Parlophone and replaced Pete Best with Ringo.